The teenager is being questioned after being accused of "improper public behaviour" in Jeddah, a statement said. It is not clear what his nationality was or if he will be formally charged by the public prosecutor. Earlier this month a singer was arrested for "dabbing" during a concert in the south-west of the country. 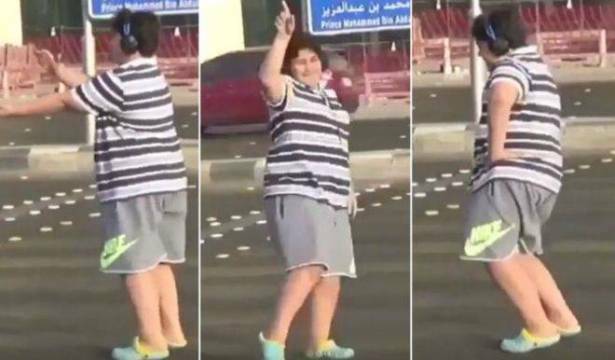 In the 45-second clip the teen can be seen disrupting traffic while dancing to the popular 1990s hit song. The clip was believed to have been first posted in July 2016. Because of the lack of codified penal law in Saudi Arabia, officials and judges have broad discretion in the arrest and punishment of children in the conservative country. The incident was filmed on a busy street in Jeddah, in the west of the country. The clip has divided social media, with some users defending the boy and even labelling him a "hero". Others have suggested his behaviour was "immoral".